In today’s music scene it is common for musician to mix jazz, soul and funk, because so much music has been assembled around that meeting since the early 1970s and the musicians of today naturally grew up listening to an array of styles through various sources. 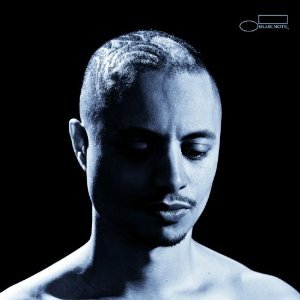 Vocalist José James exists around that crossing too, with his baritone voice and the deep-funk styling of his band, conjuring up sounds from both the ’70s from artist like Roberta Flack and Gil Scott-Heron to the sounds of the ’90s and J Dilla and D’Angelo. Conceived, recorded and produced independently, the album is James’ most personal statement yet and boasts collaborators including noted producer/bassist Pino Palladino; pianist/composer Robert Glasper; R&B singer/songwriter/guitarist Emily King; international French-Moroccan singing star Hindi Zahra; and the 2011 Thelonious Monk Competition winner pianist Kris Bowers. remarkable fluidity, bound together by James’ transcendent voice. “No Beginning No End sums up how I feel about music right now,” says James. “I don’t want to be confined to any particular style. I decided I didn’t want to be considered a jazz singer anymore and that was really freeing. Once I realized that jazz singing is just something that I do and it’s just a label, it freed me as an artist to just write without any boundaries.” Again, the word jazz is broaden and pushed to evolve; as it should be!